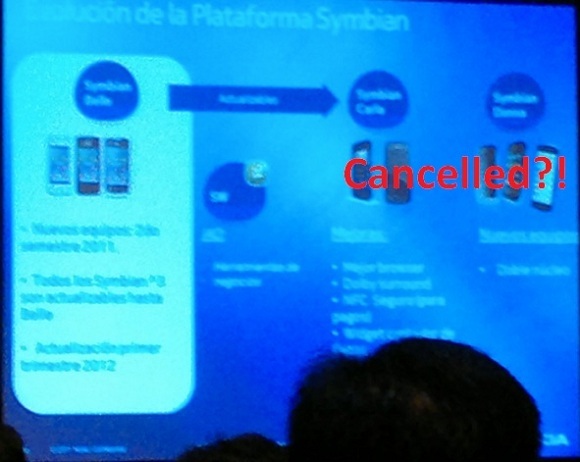 If what we are hearing turns out to be true, then it is indeed a shocker for all the Symbian lovers. It seems that Nokia’s marketing manager Mattia Fiorin has spilled some beans over Symbian’s future and has gone ahead to say that Nokia Carla, which was to be the successor of Nokia Belle OS has been scrapped. And instead of Nokia Carla, the Finnish company would release a Belle Feature Pack 2 (FP2) which will be the last update to the Symbian platform. And if Nokia Carla is scrapped already, then we should totally forget about Nokia Donna which was going to bring in support for 720p displays and dual-core processors to the Nokia’s dying platform. Fiorin has also allegedly said that Nokia N8 will receive the Belle FP1 update as Carla has been scrapped but with limited features which will include updating of the browser to the new version 8.2 and Nokia Social. Also, there would be a ‘minimal overclock’ for the processor which would be good but will it be worth it, is the question. Indeed Nokia was forced to take this decision and Symbian market share is nose-diving at a faster pace than the company had expected. So Nokia may be more interested in closing down Symbian much earlier and investing its remaining resources in Microsoft’s Windows Phone OS, which it has adopted for the future. For now we still can’t confirm this as Nokia has not officially announced the takedown of the OS but if you were one of those limited users who were waiting for Nokia Carla desperately then you’ll have to adjust with Nokia Belle FP2 for now.